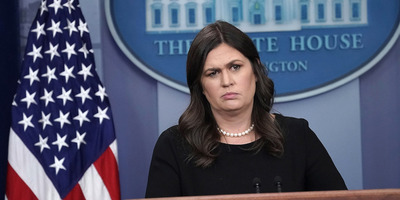 White House press secretary Sarah Huckabee Sanders pointed to the growth of black employment under President Donald Trump as a defence against former top White House aide Omarosa Manigault Newman’s claims that the president may have used a racial slur. But according to the Bureau of Labour Statistics, nearly 3 million more black people were employed at the end of Obama’s presidency than when he was sworn in. According to data from the Bureau of Labour Statistics (BLS), the number of African-Americans employed increased by 2,955,000 between January 2009 – when Obama took office – and January 2017 – when Trump was sworn in as president. Since Trump took over, the number has increased another 708,000 according to the BLS.